1- The Islamic Republic’s judiciary has also many times previously, under the pressure of worldwide protests, said that a decision on Sakineh’s case has been postponed. This is a familiar tactic of the regime in order to buy time and deflect the international pressures. In this way, the regime wants to give the impression that Sakineh is not in any immediate danger and to push this issue off the agenda of the worldwide campaign to save Sakineh and of the media and states which have supported her. However, even concerning the stay of execution, Sajjad, Sakineh’s son, has said that no official document to this effect has been given to Sakineh’s lawyer. 2- The statement by the District Secretary of the Islamic Human Rights Commission claiming that Sakineh and her children have been able to meet is also a pure lie. Sajjad and Mr Houtan Kian, Sakineh’s lawyer, have repeatedly said that Sakineh has not been allowed to see her children and lawyer for two weeks, and that even telephone contact with her has been cut. By claiming that the decision on Sakineh’s execution has been postponed and that Sakineh’s condition in prison is fine, the regime’s Human Rights Commission wants to undermine the international protest against the restrictions imposed on Sakineh, her flogging for the second time and the coerced televised confession. Sajjad has said that all prison visits are recorded and has challenged the Islamic Republic to produce evidence that Sakineh and her children have met. 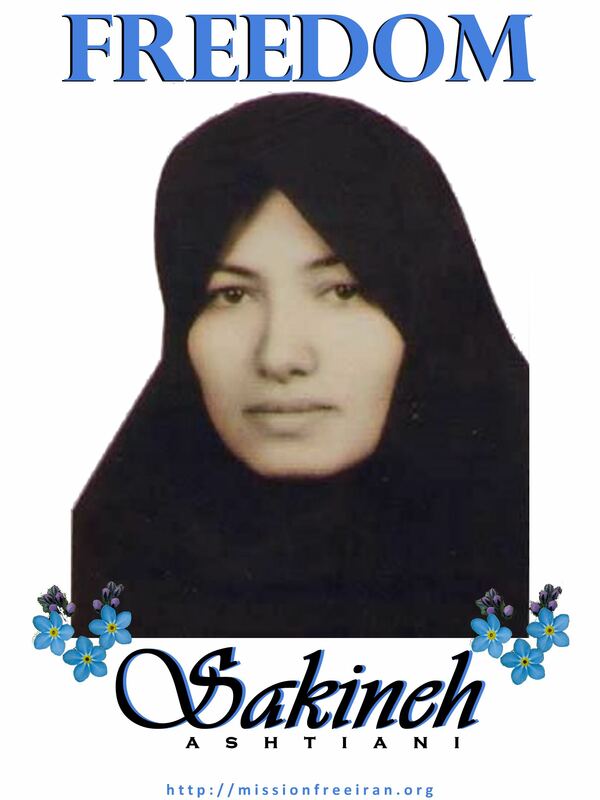 3- Our campaign will continue until Sakineh is freed and reunited with her children at her home, until the stoning sentences of all the others condemned to death by stoning have been revoked and until the barbaric punishment of stoning has been abolished. Our response to the Islamic Republic’s manoeuvre and the shameless assertions of its Human Rights Commission is to continue the protest without letup against the regime and to expose its crimes. We call on all citizens of the world to answer these claims of the Islamic regime of stoning by vast participation in the worldwide protests called for 18 September. This is the only way to push the regime back completely and secure the release of Sakineh. We also call on personalities, organisations and states that have protested against Sakineh’s stoning and execution sentences and demanded her release to keep up the pressure on the Islamic Republic, to help thwart its manoeuvres and to keep insisting on the demand for the revoking of Sakineh’s stoning and execution sentences and her release. More dignity about this case “Sakineh Mohammadi Ashtiani” we are person in the world.